Pearls and silver!! There’s a fascinating book that I read awhile ago. In Praise of Shadows by Junichiro Tanizaki where he talks about the look and feel of silver. Japanese society prizes the tarnish of silver, apparently. I think of this everytime that I wear silver, especially when the jewelry is not recently polished. Tanizaki talks of the patina, the shadows of the metal, which reflects the age and wear of an item. Maybe even reflects the owner’s love for it. But I don’t know, there’s something so satisfying about polishing silver. Taking a bracelet from gray to sparkling silver. I did not do that today, however. These bracelets are definitely sporting some patina. 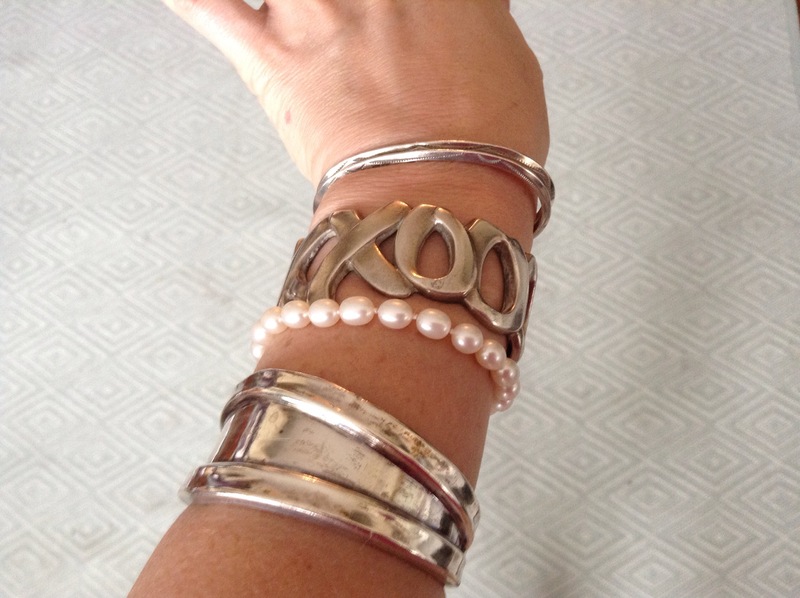 Bottom to top: silver cuff from Mexico that my father gave me years ago, the Elsa Peretti pearl bracelet my honey gave me for my 30th and swears that I never wear (It’s so fragile! It’d break my heart to damage it), another Elsa Peretti but a cuff of XOs my dad gave me in the late 90’s, and two delicate cuffs I think Native American in origin but again a gift from my dad. Second picture! 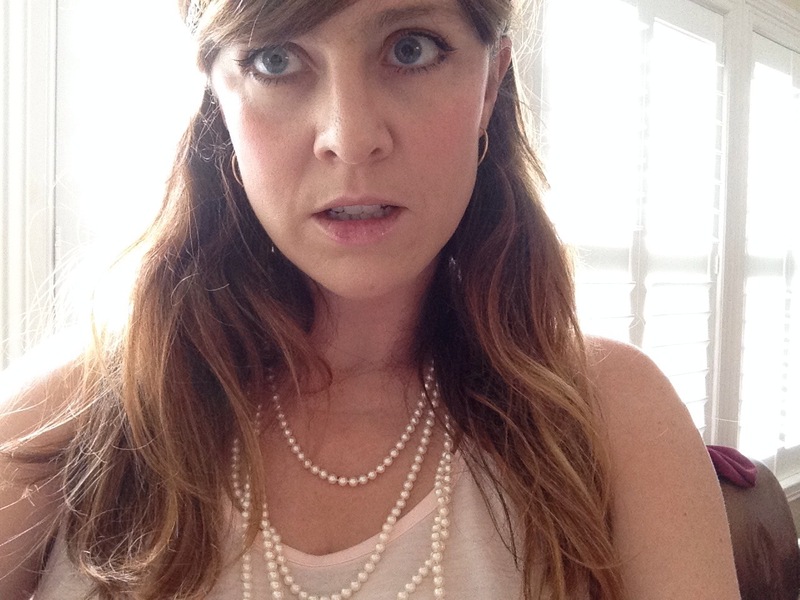 Stupid selfie, I look so tense probably because I hate taking them but I wanted to show off the pearls. Miles and miles of Gump’s pearls from my dad. I miss him, can you tell? It’s nice to wear the things he gave me, I just wish they were he.